Unsecure or Improperly Loaded Cargo Causes Truck Crashes | Hupy and Abraham, S.C.
Could Cargo Cause a Catastrophic Truck Crash? Truckers have jobs to do. For most truckers, those job includes transporting goods or cargo from one location to another. Some of the cargo may be dangerous because of its very nature. It could, for example, be flammable or poisonous. 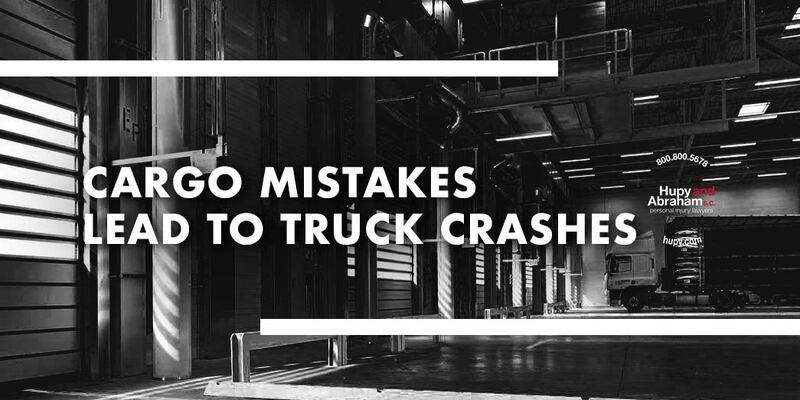 All cargo, however, has the potential to be dangerous when it is improperly loaded or improperly secured resulting in a tragic truck accident. It is the truck driver’s and motor carrier’s responsibility to make sure that a truck is loaded correctly and safely secured. While other people may do the physical loading, the truck driver must be familiar with loading procedures and requirements and the trucker must inspect the load before getting on the road. That cargo is properly distributed and adequately secured. That the means of fastening the cargo are secured. That cargo does not obscure driver’s view to the front or to the sides. That cargo does not restrict the driver’s movement or prevent the driver from accessing emergency equipment. Truckers are required to make sure that cargo is properly distributed and adequately secured before beginning a trip, within the first 50 miles of beginning a trip, within every 150 miles driven or three hours of driving (whichever comes first), and when there is a change in the trucker’s duty status. These rules apply unless the cargo is sealed and the driver has been ordered not to inspect the cargo or it is impracticable for the driver to inspect the cargo. Cargo that is not properly secured or loaded can cause a truck to be imbalanced and may result in a truck jackknife accident, the truck overturning, or cargo spilling out of the truck and onto the road or other vehicles. If you were hurt in a cargo-related truck wreck, then it is important to contact an experienced truck accident lawyer as soon as possible. An experienced attorney will conduct a full investigation to determine who was responsible for your crash and what caused your truck accident injuries. For more information, contact us online or call us directly at 800.800.5678 to schedule a free, no-obligation consultation.